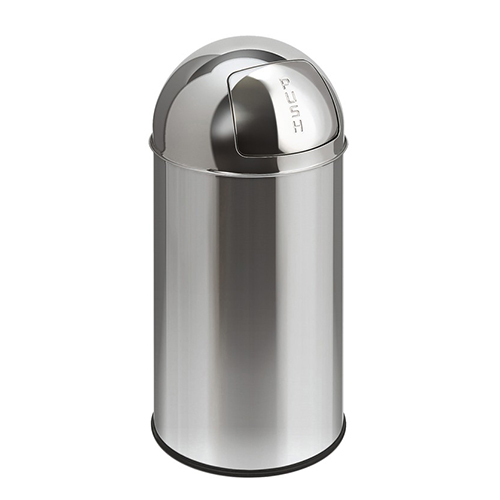 A sleek metal push bin for public areas. Also ideal for offices and receptions. 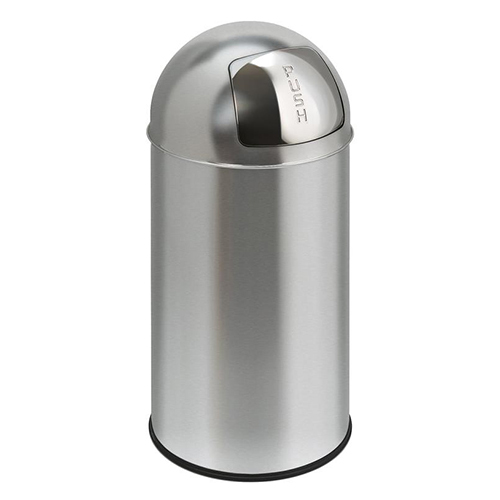 40 Litres for average waste disposal. 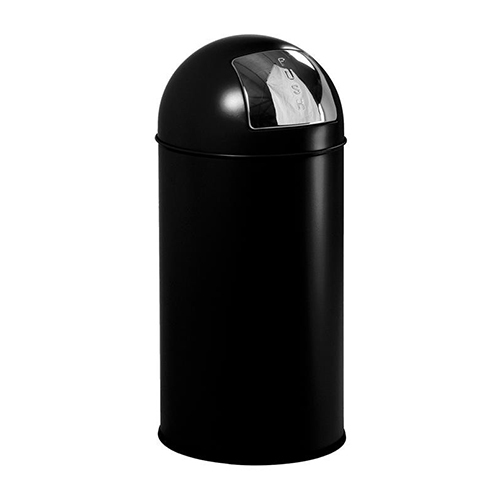 A rubber bag holder ring ensures the bag will not fall into the bin during use. Fire resistant for added safety.